Polished sterling silver weighs 2.7 grams. 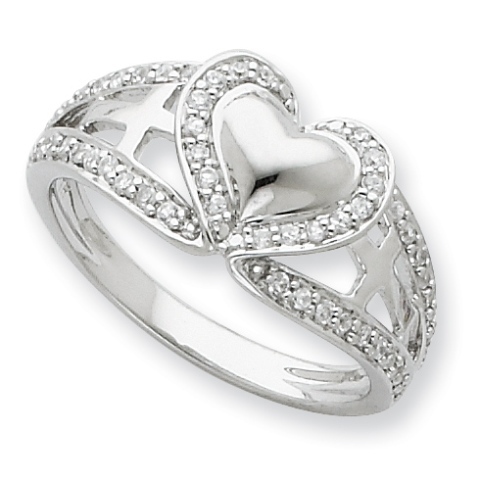 Message: This ring is to be worn for those that desire to walk in purity and have given their heart to the Lord. It is a daily reminder to follow the cross in their journey of life with full confidence that God is faithful to carry out what He has promised. By turning to Him and trusting Him daily He will guard and keep your heart pure.